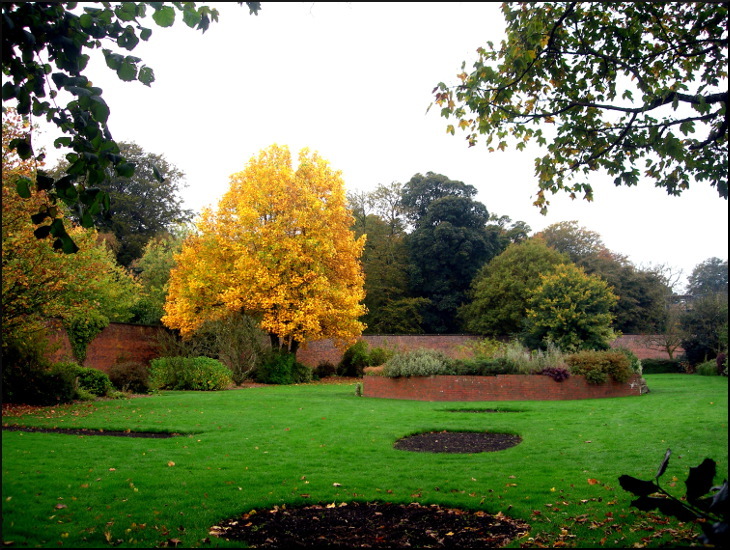 Walled garden in Haigh Country Park. That's a sight for sore eyes Harry..a lovely shot, the colour of that tree is second to none...Autumn is truly the bejewelled Season.. I love the walled garden. It holds a special place in my heart. Some nice Autumn colours,just a shame the Sky was grim on the day. Its a lovely place and well kept. I bet Maureen and Veronica would paint beautiful scenes of that. Thank you Elizabeth...I'm sure we could try. Agreed, Elizabeth. Talented ladies, both. x. Very nice of you to say so Elizabeth and Irene....it is a lovely pastime. I bet you both have something you are good at yourselves. Me - I would have loved a good singing voice! Thank you from me as well Elizabeth and Irene...as I have said before,everybody has a talent.